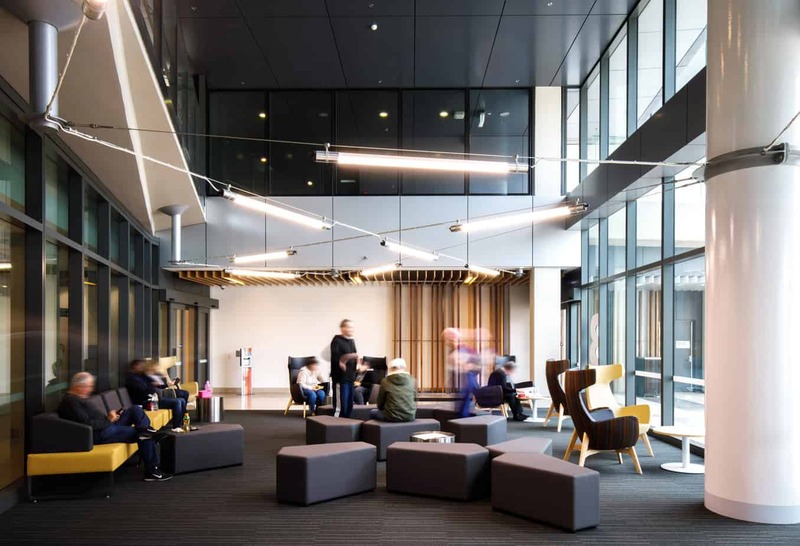 The new patient-focused Royal Adelaide Hospital has been designed to accommodate 700 single beds, with the capacity to admit around 85,000 patients per year. In addition, there are 40 technical suites supported by 180 recovery bays, a 60 bed intensive care unit, and associated clinical support areas: day oncology, renal dialysis, trauma emergency department, distributed diagnostic areas and a hyperbaric unit. The design also incorporates an innovative approach to office space, teaching and research facilities and green spaces. Silver Thomas Hanley, in a joint venture with DesignInc (STHDI), was responsible for delivering the hospital’s architectural concepts. The hospital is designed around “a journey to health”, where clinical care is brought to the patient in their own single bedrooms. Each bedroom is a healing environment with an emphasis on privacy, passive surveillance, the opportunity to display artwork and a place for visiting family to stay. 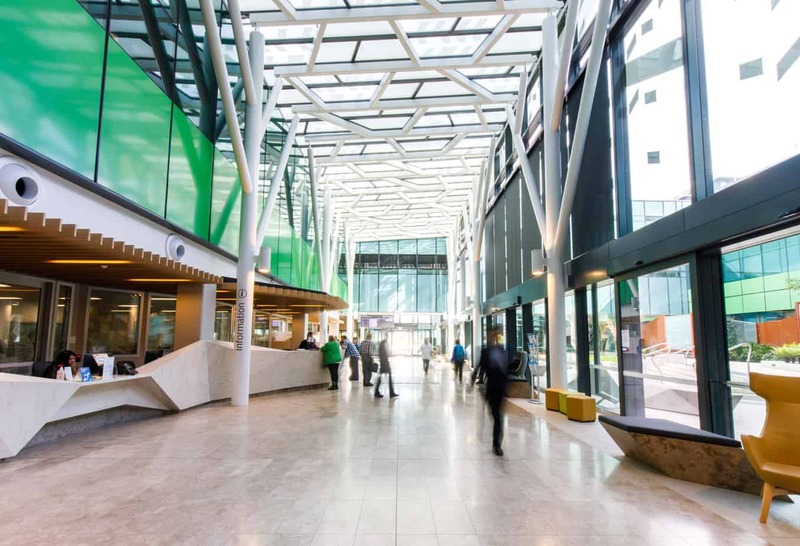 The RAH is South Australia’s greenest hospital and incorporates extensive environmentally sustainable design initiatives. 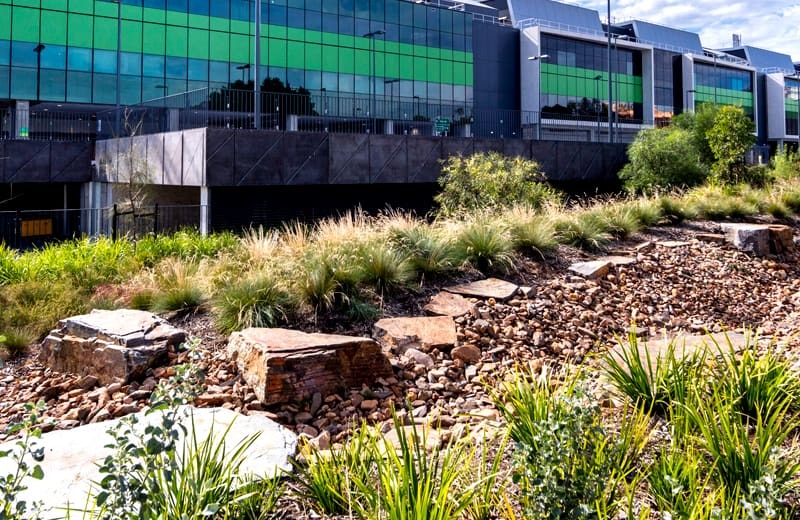 It has been identified as a best practice model of green building principals by the Green Building Council Australia, which awarded the hospital a four-star green star rating (Read More) based on its sustainable design and construction as well as its operation, fit out and positive impact on staff and patients. The purpose-designed ICT ‘integration engine’ makes the RAH Australia’s most technologically advanced hospital. The ICT network integrates patient records, clinical systems, patient systems and FM support systems.